While Pro-Life Texans held the state House of Representatives and state Senate and won every statewide office, the November 6 election brought several brutal defeats. We rue the losses of Pro-Life stalwarts, state Senators Don Huffines and Konni Burton, and state Representative Matt Rinaldi, who all lost to abortion extremists. Anti-Life “progressives,” many from outside Texas, funded the opponents of your liberty and Life champions. Thank you for standing with us to help Senator Huffines, Senator Burton, Representative Rinaldi, et al. You haven’t heard the last of them! Without your support, we might have lost Texas entirely. All the celebrity endorsements, elite fundraisers, and cult-like fanfare could not secure pro-abortion Robert Francis “Beto” O’Rourke a win in the Lone Star State over Pro-Life champion Senator Ted Cruz in what proved to be the most expensive Senate race in U.S. history. 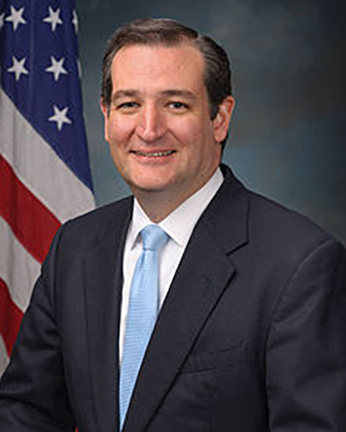 Senator Cruz will return to Washington, D.C., to continue fighting for the Pro-Life movement on the influential Senate Judiciary Committee. While media pundits in Austin celebrate the decreased number of Republicans in the state House and the state Senate, they ignore some important numbers, which really are the only numbers that matter to Pro-Lifers. Pro-Life champion Lieutenant Governor Dan Patrick has 20 Pro-Life votes of the 31-member state Senate over which he presides. In the Texas state House, there are now 86 reliable Pro-Life votes (of 150 members), 10 more than needed to pass life-saving legislation. With Pro-Life majorities in both chambers of the state Legislature, the Pro-Life movement is not slowing in Texas. The Freedom Caucus of the Texas House will now likely make up a larger share of the House Republican Party. We are eagerly awaiting the final results of Senate races in Arizona to learn if Martha McSally wins over the Democrat, Kyrsten Sinema; and Florida where Rick Scott holds a lead over the pro-abortion incumbent, Bill Nelson, which would bring the tally to an impressive 55 Republicans in the U.S. Senate. Despite the Democrat delusions of turning Texas completely blue, you continued the 24-year record of keeping pro-abortion Democrats and their agenda out of statewide office. Texas will continue to benefit from the statewide leadership of outspoken Pro-Lifers Governor Greg Abbott; Lieutenant Governor Dan Patrick; Attorney General Ken Paxton; Comptroller Glenn Hegar; Commissioners Sid Miller, Christi Craddick, and Wayne Christian; and others. Since Joe Straus, the former House speaker, will no longer thwart the Texas Pro-Life agenda, the most pressing question now is who will be the next speaker of the Texas House of Representatives. The next month will determine this critical race and the Pro-Life movement in Texas must not be distracted by the biased talking heads. Thank you for your prayers, financial support, activism, and votes that helped Pro-Lifers save Texas.